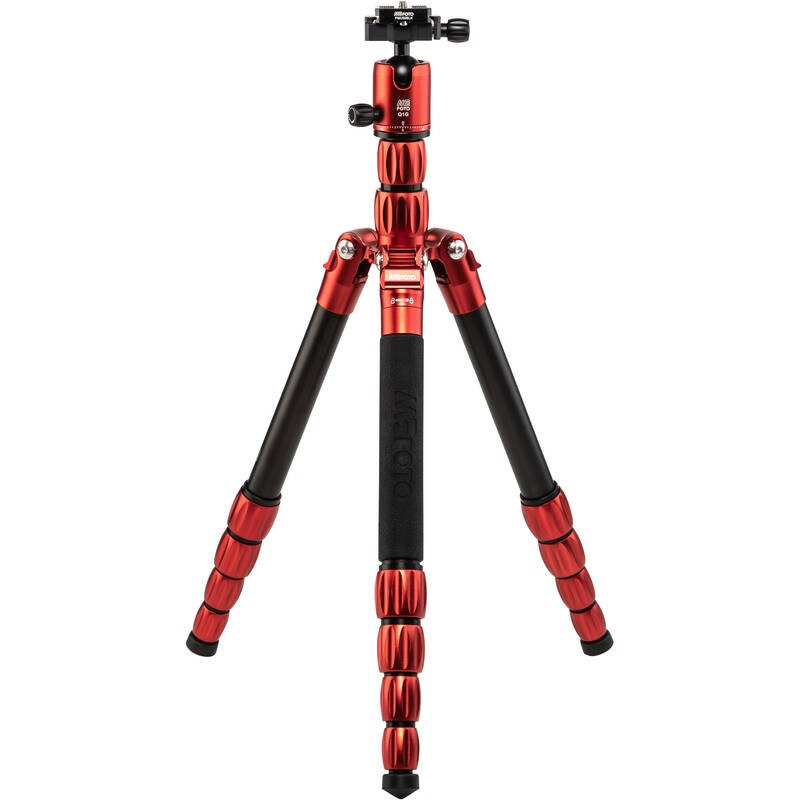 The RoadTrip S Travel Tripod from MeFOTO is a five-section support with alumnium legs and red anodized-aluminum twist locks that are knurled for a comfortable grip while opening and closing the locks. 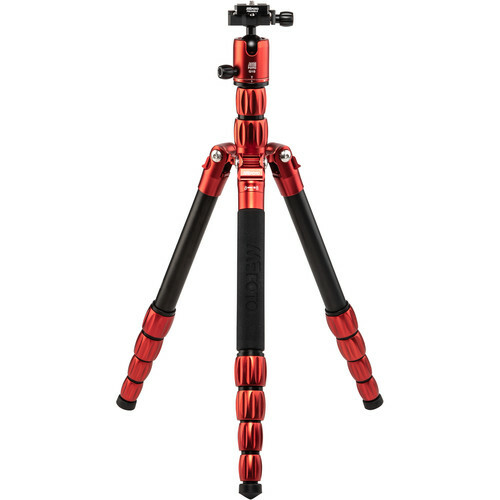 By extending the legs and the two-section center column, the 3.4 lb tripod can reach a maximum height of 59.4" and can close to a minimum height of 14". The legs fold in the reverse so it can be carried to another location, and the removable center column and tripod leg combine to a full-working monopod. The Arca-type compatible ball head has a load capacity of 17.6 lb and includes a quick release plate with a 1/4"-20 camera mounting thread. Box Dimensions (LxWxH) 15.3 x 4.2 x 4.1"